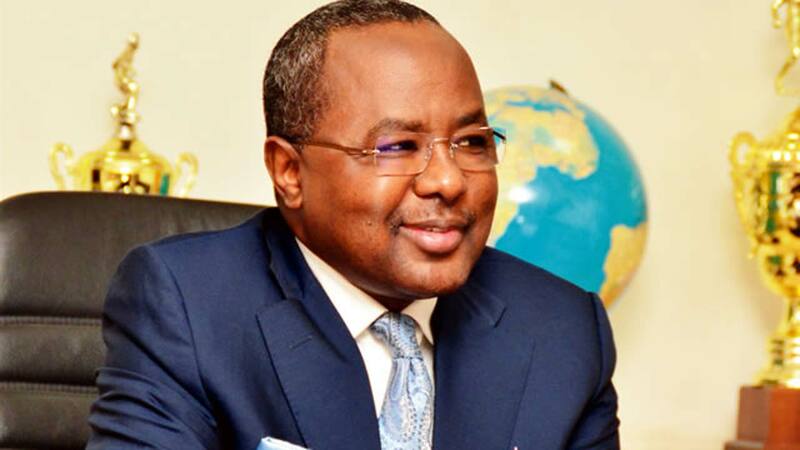 The suspended Director-General of the Securities and Exchange Commission (SEC), Mr Mounir Gwarzo, has been discharged and acquitted of corruption charges filed against him at the High Court sitting in the Federal Capital Territory (FCT), Abuja. Justice Husseini Baba-Yusuf in his ruling on Tuesday held that the prosecution team could not prove beyond a reasonable doubt that the embattled SEC chief and one other accused person, Mr Zakwanu Garba, an Executive Commissioner of the capital market regulatory body, committed the offence levelled against them. Mr Gwarzo was accused of using his office to approve the payment of severance package worth N105 million for himself while still in service. He was arraigned by the Independent Corrupt Practices and Other Related Offences Commission (ICPC) along with Mr Garba on a five-count charge. At the ruling today, the judge said, “Exhibit 19, which is a memo from the governing board of SEC, has clearly demonstrated that the decisions of the board of SEC as the highest decision and policy-making body of commission is legal. The judge also absolved Mr Gwarzo of the allegations that he used his official position to corruptly enrich himself by using the monies paid to him as car grant as the DG of SEC, saying, “The burden of proof was on the prosecution but through its own exhibit, which includes a board resolution which approved the car benefit for an executive director who had spent more than two years in office, the charge against Mr Gwarzo has not been established” and thereafter acquitted him of the charge. Mr Gwarzo was suspended from office in November 2017 by the former Minister of Finance, Mrs Kemi Adeosun, after setting up an investigative panel to look into the allegations against him. It was then speculated that the embattled SEC chief got into trouble because he insisted on conducting a forensic audit on one of the biggest indigenous oil firms in the country, Oando Plc, headed by Mr Adewale Tinubu, to save the integrity of the capital market regulator. Oando was accused of gross financial misconducts by two petitioners and SEC suspended trading of shares of the company on the Nigerian Stock Exchange (NSE). However, the suspension has since been lifted. Though Mr Gwarzo protested that Mrs Adeosun had no right to suspend him from office, an acting DG was named for the commission in the person of Ms Mary Uduk, who is still occupying the position at the moment.